Rigid and lightweight PVC foam sheet is incredibly versatile. Suitable for both internal and external applications, PVC foam sheets are easy to work with and very cost effective. 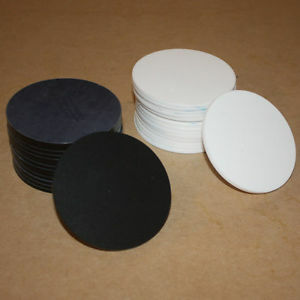 PVC foam board has a consitant, smooth, flat surface making it suitable for direct print and laminating viynl graphics. Sheets can be easily worked with conventinal tools. It can be cut with circular saw, jigsaw and sharp blade. PVC foam board achieves a UK class 1 fire rating. The PVC material is actually self extinguishing making suitable for projects with the highest of safetey requirments. Bright white finish and consistant smooth, flat surface make it an ideal substrate for direct printing. Can I collect my order from Wholesalepos? Can Wholesalepos help me with a fabrication project?